Like most casino and lotto type games, bingo contains an element of chance. Whether it is offline or online, bingo is one of the more fun and social games available where many people play to let off steam and make new friends. The first rule of thumb is, the more cards you buy, the larger your odds of winning. This is the most basic and surefire way to increase your potential number of wins. The reason being, if you purchase one bingo card and there are 9 other players in the game who also buy one card, your chances of winning are 1 in 10. On the other hand, if you purchased eleven bingo cards, your odds significantly increase to 10 in 20. Some online bingo sites will actually tell you how many cards are in play in your current game. This is very valuable information because it allows you calculate your odds precisely. If few cards were purchased by others, you don’t need many to double your chances. However, if it is a popular game with many card purchases, you may want to invest in more cards in order to have the upper hand. The more cards you buy, the higher your odds of winning. If you can see how many other cards were purchased in the game, it is much easier to calculate your odds. Each bingo card contains a certain number of potentially winning calls. A caller will call out numbers that have been picked from a bag or generated by a random number generator. In 90 ball bingo there are 90 calls and in 75 ball bingo there are 75 calls. Each game has various winning combinations and patterns. You could say that your odds of winning increase as the game progresses, this is because there are less balls left in the bag (or number generator). 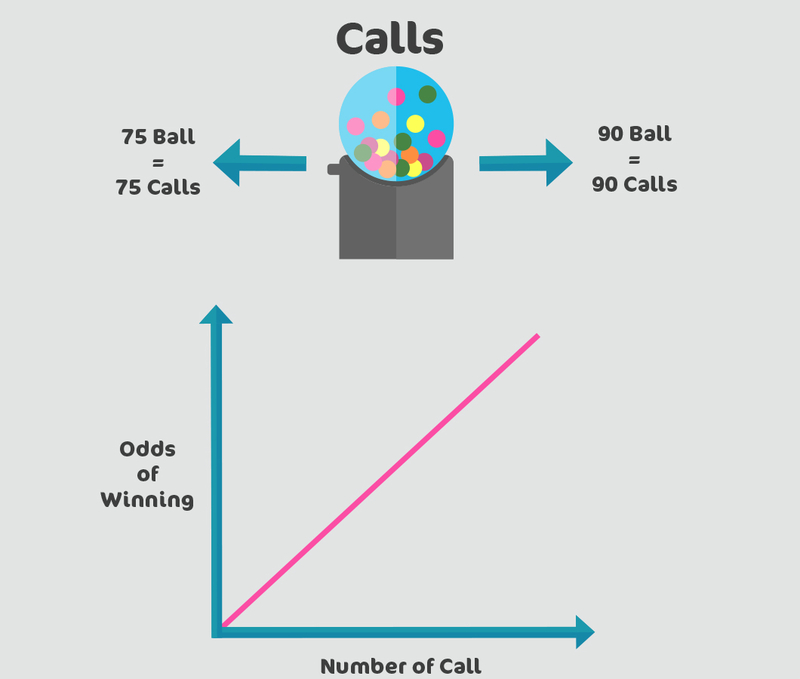 So your odds of winning on the 10th call will be incredibly low, as opposed to the 40th call where your odds significantly increase. As the calls increase, so does the sense of excitement, which is why so many love bingo! When patterns determine a win, you could say that the more complicated patterns yield lower odds, whereas simpler patterns have higher chances of winning sooner. For example, the odds of winning a simple line on the 18th call are pretty much the same as winning a Z pattern on the 43rd call. Just as you can calculate your bingo odds by knowing how many cards are in a game, so too can you make a similar assessment by observing the number of players. 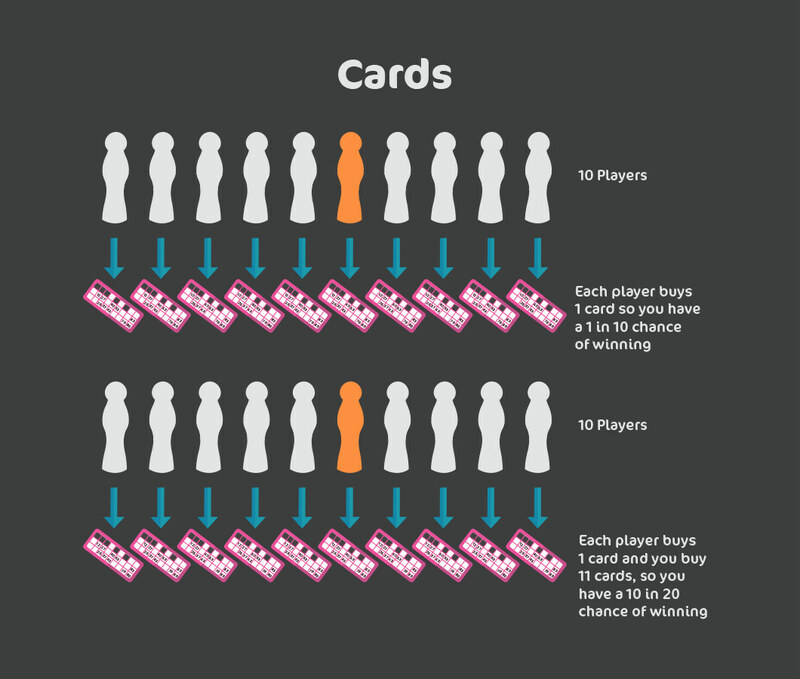 If there are more players in a room, it also means there are more cards and you would have to purchase a higher amount in order to up your odds. The same is true in reverse, if the room has fewer players, your odds of winning are higher. On the other hand, more players also equals a higher jackpot. Bingo games often have progressive jackpots which increase in value if more people buy into the game. So you need to find a balance between amount of players vs. amount of money to be won. Your best bet is to find a room with an average amount of players. If a bingo room is empty in a progressive jackpot, your winnings will be minute! It is also worth paying attention to how the player numbers change during different times of day. For example, daytime hours are usually most empty because many people are at work. During the evenings and weekends, on the other hand, bingo rooms might be packed! You can calculate your odds by observing the number of players in a game. More players means that more cards have been purchased. In the case of progressive jackpots, more players also equals a higher value cash prize. Bingo rooms are usually quieter on weekdays and busier during the evenings and weekends. In the previous paragraph we talked about the issue of more players meaning higher jackpots but lower odds. One way to get around this is to simply play more games! If you play more games with an average amount of players and average jackpots, you spread your bets, thus increasing your odds. Of course, playing more games means that you are investing more money, but at least this way you are more likely to stand a chance of winning. 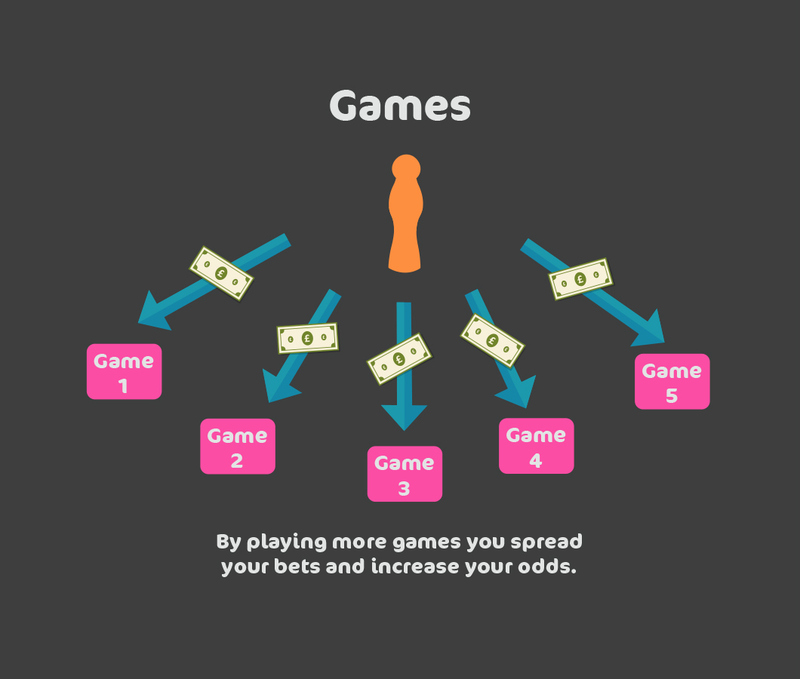 By playing more games you spread your bets and increase your odds. More games means spending more money, but at lease you’ll have a shot at winning big. Bingo is mostly a game of chance, but there is also an element of strategy involved. Follow a few simple guidelines to increase your odds, but try not to take it too seriously… because above all, bingo is about having fun – Enjoy!